We all know that Mulberry has dedicated a new handbag to the sensational Lana Del Rey, inspired by the singer's soulful voice and signature hollywood style. Emma Hill was inspired to create a bag that took Lana's nostalgic glamour combined with Mulberry heritage detailing. 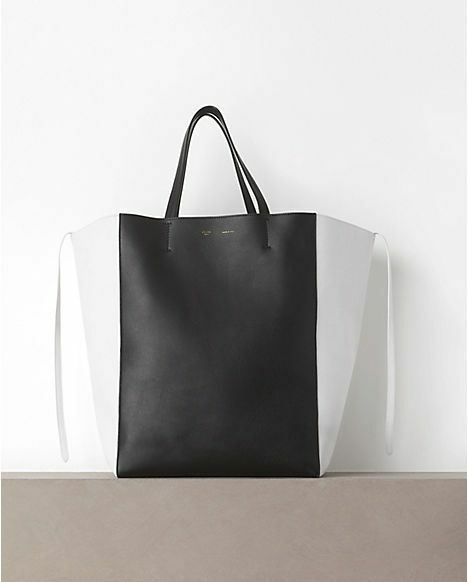 The bag tells a story of refined practicality. 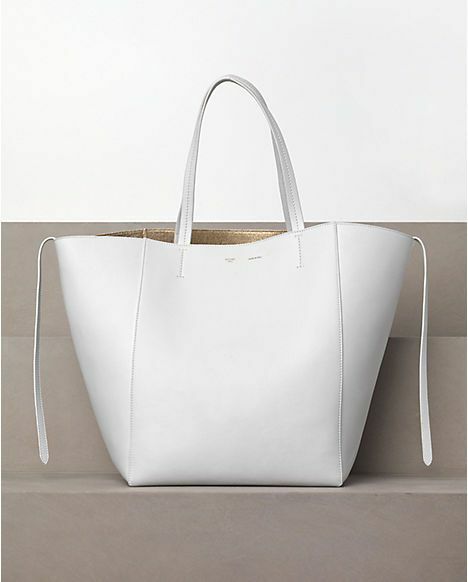 With sumptuous leather and elegant simplicity, the silhouette implies structure, yet is soft and tactile, which is the best thing Mulberry has been doing in their tradition. Watch the Del Rey as it is transformed from pieces of leather and metal into the newest Mulberry icon - all to the tune of Lana Del Rey's "Summertime Sadness". 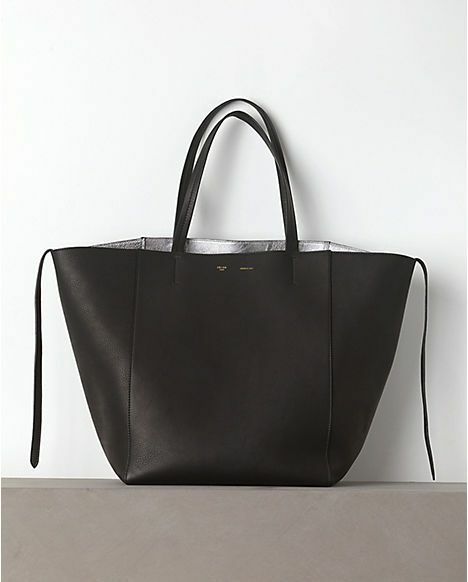 Checkout Mulberry.com for the choices of colors and materials available. You can't get any more stylish/travel-chic than Anna in those set of turquoise luggage which turns out to be part of her collaboration with H&M. This was taken during Couture week in Paris around Place Vendome, for Vogue Russia. I think the collaboration is beyond phenomenal. One one hand it is so blingy, so exaggerated, look at those crazy sunglasses, but on another, it's just Anna Dello Russo and we want to wear what she wears. I'm personally more intrigued to see this collection in person than the upcoming Maison Martin Margiela. The collection is scheduled to hit H&M stores worldwide October 4. View my other post on ADR at H&M here. Images courtesy of Vogue Russia and Fashionologie. We are aware that Jimmy Choo has previously worked with contemporary artists and photographers including Nan Goldin, Marilyn Minter, and Richard Phillips in the past. But this upcoming collaboration with Rob Pruitt has another story. Pruitt has wielded his particular brand of iconoclastic humour and visual exuberance since he emerged on the New York art scene in the late ‘80s. You may want to read this Vogue 2010 article on him. From glittering panda bear paintings to large scale dégradé canvases with a scribble of human expression, to a silvered Andy Warhol monument on public view, Pruitt is known for producing art that is both playful and profound. The artist created several original designs that were realised in the collection. Pruitt signatures of glitter zebra, pandas and dégradé colour feature in the product design, presented in surprising and often contrasting combinations always with graphic black detailing. In a playful expression for Jimmy Choo, Pruitt created a unique duo of angel and devil pandas symbolizing the dual personalities of the Jimmy Choo woman: the classic good girl / bad girl double play. This may help you imagine how the collection would be like. Shoes and bags feature dégradé leather linings patterned with repeating angel and devil pandas. Soles of shoes are finished with a wash of dégradé colours creating an eye catching flash of colour with each step. Small leather goods such as wallets and key chains feature panda charms and patent dégradé with leopard print. And I bet the packaging will be very exclusive and bright pink, with pandas. The products are part of Choo's 2013 Cruise collection and are set to debut in Jimmy Choo boutiques and online in November 2012. Image courtesy of Jimmy Choo. "Celebrating individuals with individuality. Reality... Not Reality Stars." That's this season's inspiration for this very unique campaign video. On one hand, it's a little pretentious, but then the quirkiness just makes everything seem so chic and so original. This one happens to be a teenager dishing about music in the video campaign, she's so sweet and adorable and she looks so gorgeous in this red peplum dress. Oh and do you notice those 'hands' on the hips? 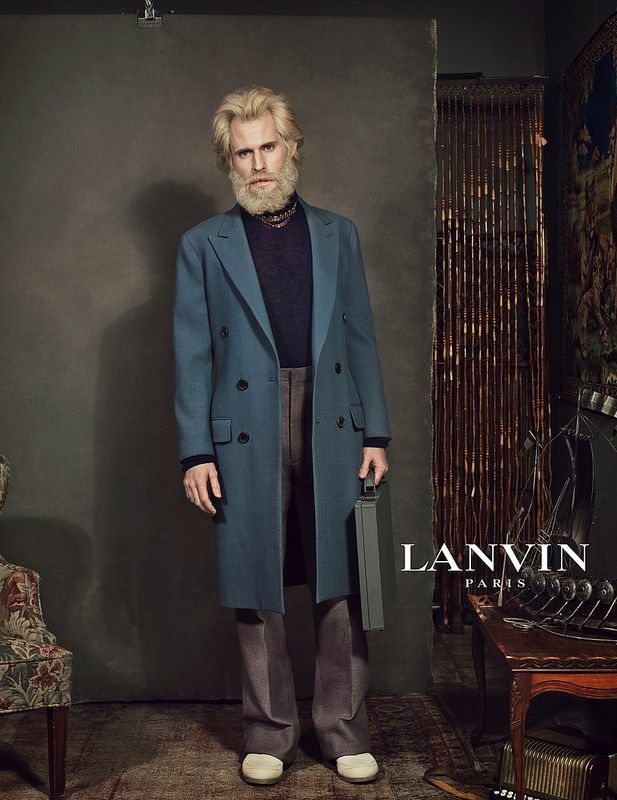 After an active, fascinating search of the blogosphere on the identity of the Lanvin Anonymous People, a film that is every bit as atypical reveals what went on behind the scenes of the ad campaign shooting, disclosing anecdotes by the characters to give us a glimpse into their personality. Discover a former cabaret dancer, mobile phone addict, woman who collects salt and pepper shakers and a lover of frozen blueberries. 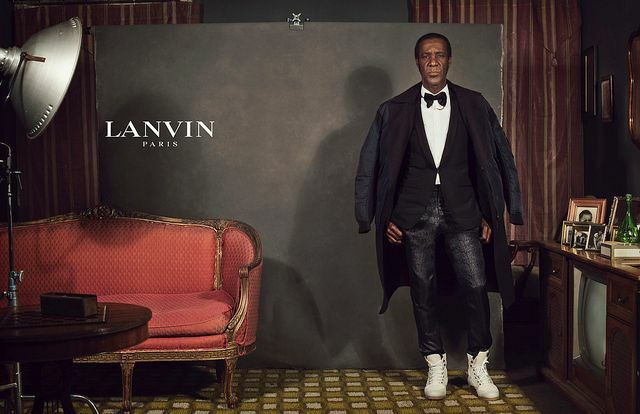 Based on an innovative concept, this campaign celebrates Alber Elbaz’s 10 years designing for Lanvin. By lifting the veil on anonymous personalities, Paris’s oldest fashion house takes couture off the podiums and puts it down on the street, garments worn by real people be they young or not so young, from different backgrounds, with unusual personalities, diverse silhouettes. Lana Del Rey, one of the biggest names in music, will be the face and voice of H&M this fall. She will star in a print campaign shot by Inez van Lamsweerde and Vinoodh Matadin, as well as a full-length film of Lana singing a cover of “Blue Velvet”, shot by director Johan Renck. 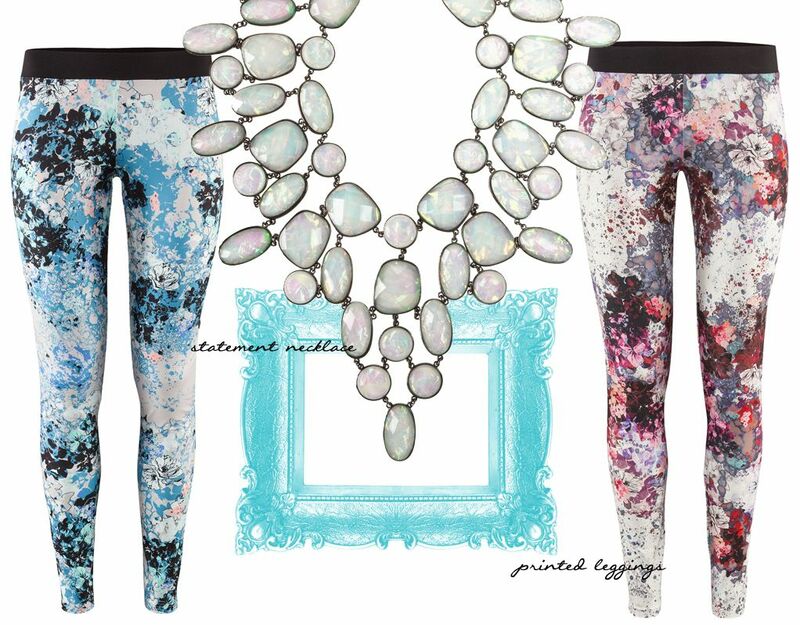 However, these are my top 3 favorite picks from the collection, which includes the printed leggings. See how Lana rocks the pink version with a neutral peplum top below. Oh look at those earrings! Really can't wait to get my hands on the Fall 2012 goodies. Look out for the collection when it hits our local store in September. She's my latest girl crush. Extremely pretty and equally talented. She has this enchanting charm that spells beauty and I guess she has the ability to fascinate others. Born in Buenos Aires, Argentina, Mia Maestro is one of the cast of Twilight: Breaking Dawn alongside Kristen Stewart and Robert Pattinson where she played a vampire named 'Carmen'. Her song "Llovera" was released as part of the soundtrack of this movie. She will soon appear on the acclaimed Oliver Stone film titled "Savage" in this coming year alongside Blake Lively. She looks a lot like Miroslava Duma. Don't you think so? Mia, previously known as 'Nadia Santos' in the television series "Alias​​", presents her single, Bewitch, as part of a collaboration with a high-profile consumer brand, based in Indonesia, I can't reveal yet. Visit www.bewitchmiamaestro.com to learn more about her new album. Honestly I'm not quite surprised with Anna Wintour's choice of the publication's 120th anniversary edition cover. But then again, what was really shocking is the fact that Mother Monster tweeted that she was actually channeling RuPaul, a famous American actor, ahem, also the most famous drag queen in the world. The singer was previously photographed by Mario Testino for Vogue's March 2011 issue which turned out to be one of the mag's best sellers that year, pushing 100,000 copies. This one is shot by Mert Alas and Marcus Piggott and styled by Grace Coddington, and she is wearing a show-stopping purple Marc Jacobs dress from the autumn/winter 2012 collection. And now you, my dear, are looking at a potentially record breaking cover in the history of fashion publication. Also, 916 pages, really? But then, it's really not hard to picture some people walking around town showing off a 2 kg American Vogue with a Gaga cover, flipping through pages trying to pass themselves off as a fashion guru. Watch the video of her behind the scene below. 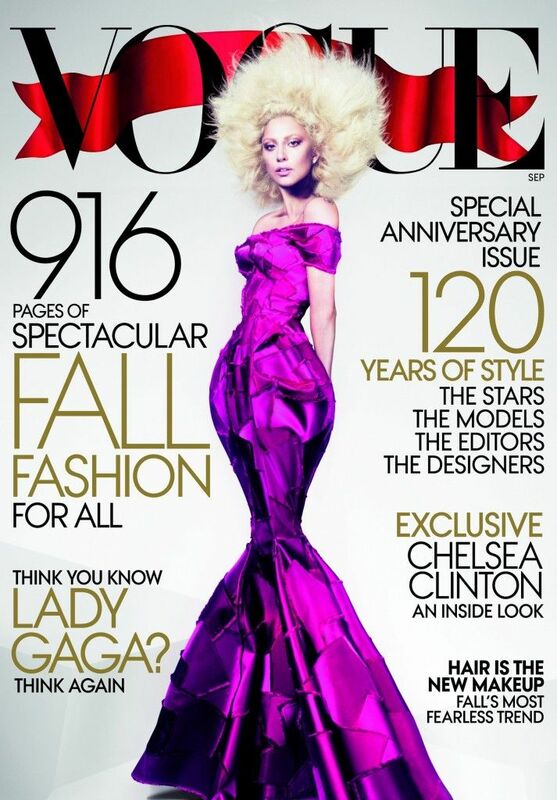 American Vogue’s September issue is out on August 14th. Will you be buying it? The Speedy 25 Bandoulière, the smallest version of the Speedy with its recently added shoulder strap, is now available in Monogram Empreinte! 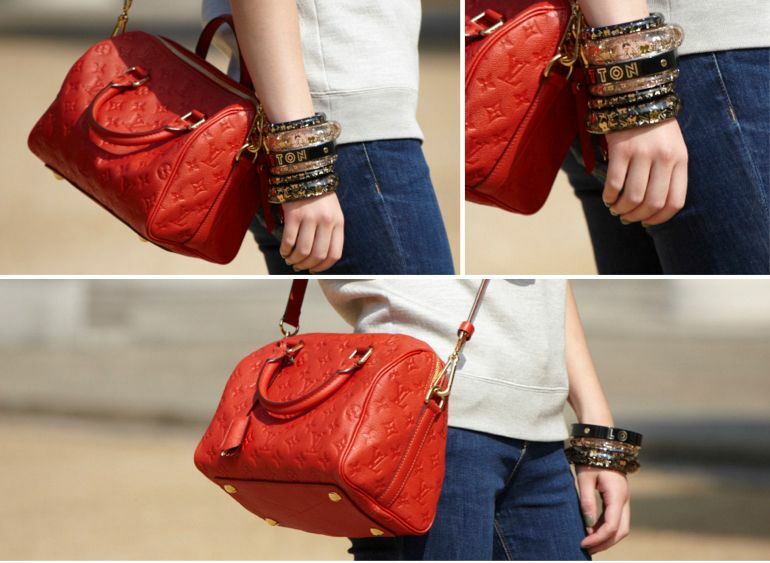 I still remember when my mum passed down her LV to me when I was maybe 13 years old, which is a very long time ago. I think it happened to be a Speedy 25, which was my first designer bag. I personally like 25 the most up until now, although I kind of abandoned all of my bags with logos on them. While retaining its iconic shape, the Speedy 25 Bandoulière has acquired new details that are typically Monogram Empreinte, notably outsize zipper pulls and bold brass rivets. I would so much recommend this bag for my teenage readers, P.S. give up the Prada Saffiano, already, and get this instead. It's so much more lively, young, and yet luxurious. To the four existing colours of Monogram Empreinte – Infini, a deep midnight blue; Orient, a burnt orange; Aube, a dark violet; Aurore, a rich raspberry – the Speedy 25 Bandoulière adds a fifth: Terre, a warm chocolate brown. Check out the monogram empreinte collection on their official website here. 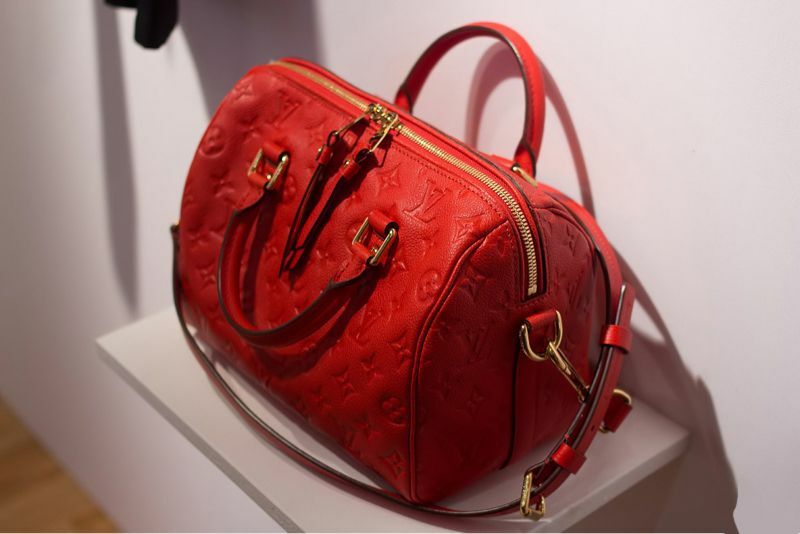 Images courtesy of Louis Vuitton and Boy Meets Fashion. 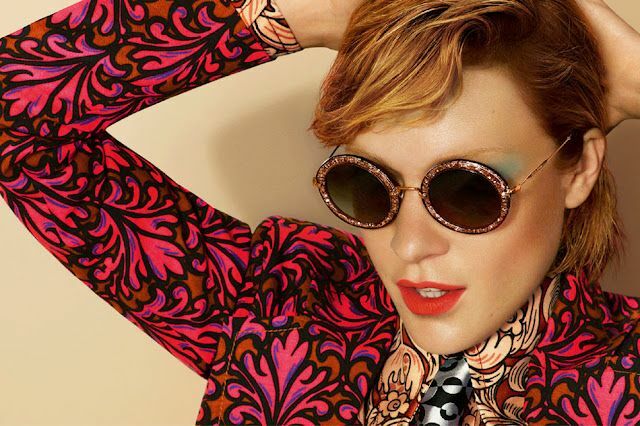 Photographed by Mert and Marcus, the ever edgy Chloë Sevigny wears similar eye makeup to the runway show where pantsuits that came in stripes, checks and prints were the main highlights. I still like seeing Hailee Steinfeld for Miu Miu Fall 2011 crying on train tracks a lot more than these. What do you think? Images courtesy of Miu Miu. In celebration of their theme for 2012, Hermès is pleased to welcome visitors to the historic Singapore Tanjong Pagar Railway Station for “The Gift of Time”. 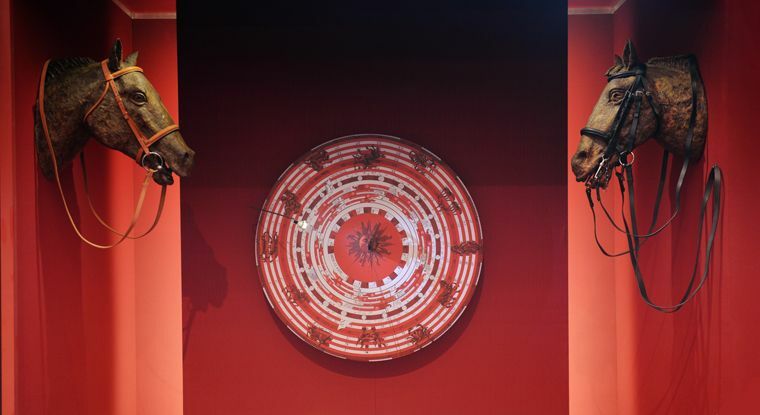 In the course of a circular walk-through display representing time, American artist Hilton McConnico, scenographer, poet and long-time partner of Hermès, tells the story of Hermès time through poetic displays tinted with light humour, variety of colours and a series of sensory discoveries. “Hermès time does not try to master time but rather offers us the time to see and understand this ever changing world”, says Hilton McConnico. The visitor begins the walk contemplating the origin of time, before continuing on to free time, time suspended, in reverence to the watch, or to the stroke of time, reminding ts of the patina on objects. Finally, time will be dedicated to a moment of sharing and to the transmission of memories and thoughts. If you're in Singapore sometime between 1st August through 12th August 2012, don't forget to check out the dreamlike exhibition space embellished by time and movement. Exhibition opens from 11am to 9pm daily. I personally think it's best to come during sunset. Admission is free. View more here. Gosh! Did I miss this? At the premiere of "The Dark Knight Rises" in London on July 18, the actress wore a Dior Couture by Raf Simons dress. She totally killed it in this. Perhaps the only other person in my mind that could come close is Diane Kruger. The girl who played Talia al Ghul in the movie had opted for a red pair of shoes and a Dior clutch in the same color. The shoes look a lot like Manolo Blahnik BB to me. Maybe I should get a pair in red too. And I just found out Bergdorfs just receive the pair in the prettiest shade of green. Get a similar metal belt from Shopbop for USD198 here. Images from various sources.